Learning Along the Way sees Patrick Casement trace the development and application of his earlier key contributions to psychoanalytic technique. These include his observations about internal supervision, trial identification with the patient, and monitoring how the analytic space is either preserved or spoiled by the analyst’s contributions. Throughout the book, Casement cautions against preconceptions that steer the analytic process along familiar lines. He advocates a more radical approach that is always open to being led by the process emerging between analyst and patient, frequently leading to unexpected and fresh insights. This work makes a natural pair with Casement’s first, most celebrated book, On Learning from the Patient. Here he builds upon all that was outlined before, challenging the reader further and inspiring clinicians to re-think their established ways of working. 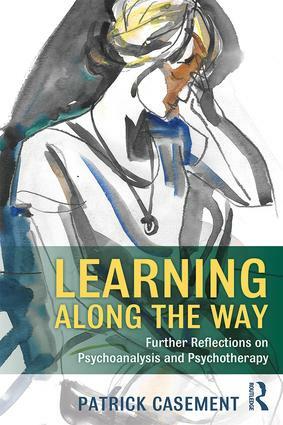 Learning Along the Way is an invaluable addition to every clinician’s library and an essential aid to practicing psychoanalysts, psychotherapists, counsellors and anyone training in psychoanalysis.